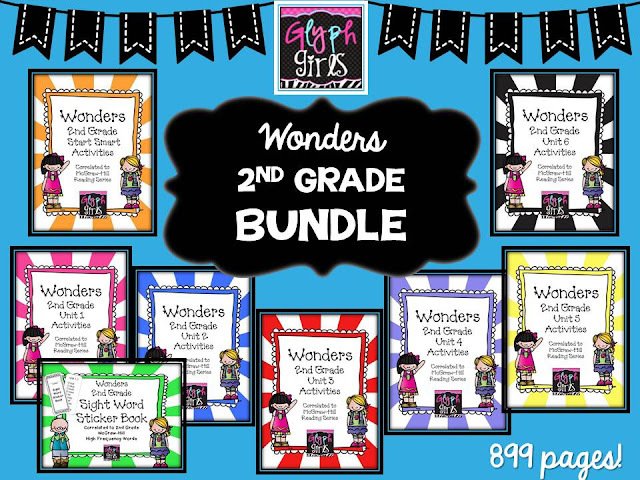 We are super excited to announce that we have finished both Wonders 1st Grade and Wonders 2nd Grade Activities!!! AND they are now BUNDLED!! Unit or Bundled for the Entire Year. 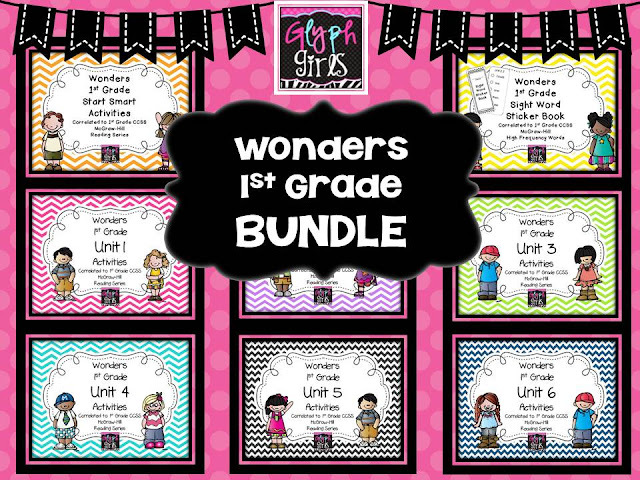 The Bundle also includes Start Smart Activities and a Sight Word Sticker Book. Click on the pic above to go to our TpT store and explore this product more. Sight Word Sticker Book included)! It's 899 pages of engaging activities and assessments. Click on the photo above the get the full description of this product! 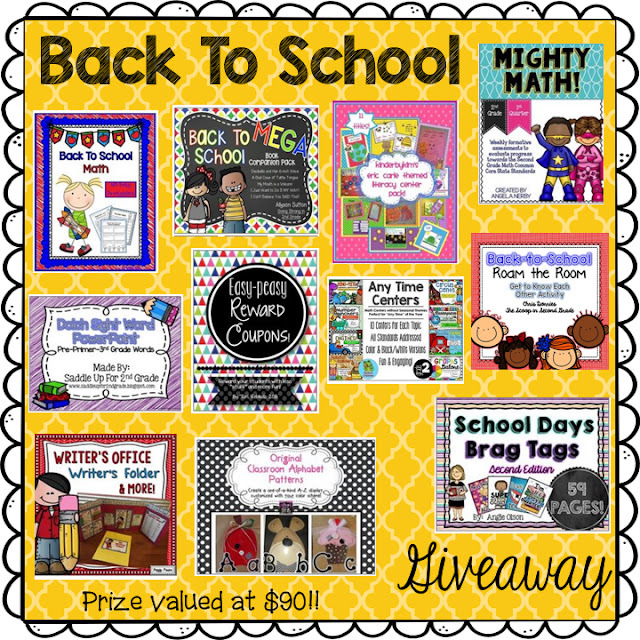 TODAY is the last day to get in on our Back to School Giveaway. 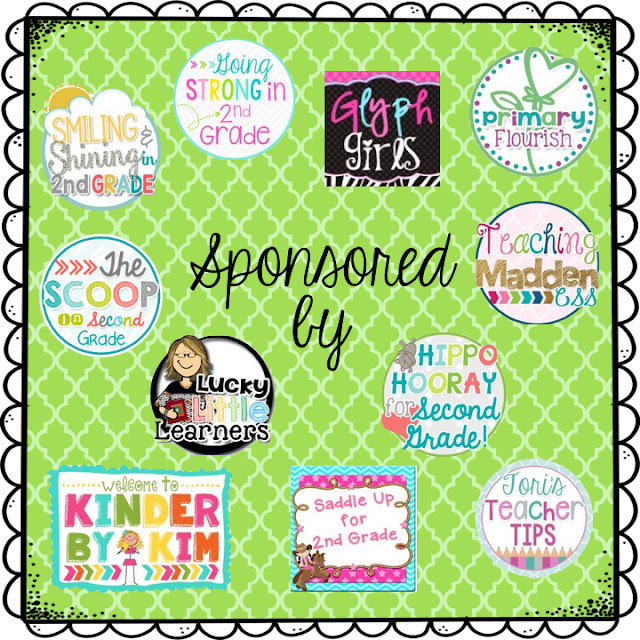 Take a look at all the fabulous sponsors! Glyph Girls Original Classroom Alphabet Patterns in the giveaway. This might be just the spark you need to get started on the new year! Check out this awesome group of sponsors! July 20th - 25th only! !